Meet our playful kangaroo family where Joey, the baby kangaroo, and his mother take you on backyard adventures every fun-filled day. In each episode, Joey brings out a big box and looks inside to see what he can find. As he discovers each item, he does funny things with it until his mom helps him understand what the object is and how it works. Gentle life lessons result as the kangaroo family hops along together down the road of discovery. 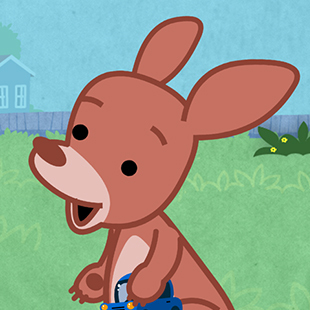 See what time Joey’s Toy Box is playing!